The Digital Research Library of Illinois History Journal™: Ancient Chicago Indian Mounds. Ancient artifacts from an "enormous" Indian settlement were uncovered along a gravel and sand ridge that passes through the land that has become a new city park near Rosehill Cemetery, officials said. The development of land, which was bought from Rosehill in 2011 for $7.7 million has sat largely untouched for decades. Click on map for larger size. Phil Millhouse, an archeologist with the Illinois Archeological Survey, said he and his colleagues performed "shovel tests" on the site earlier this year when they came across fragments of arrow points, knives, ceramics and possibly a cooking kit. "It turned out there was a very large prehistoric village on that ridge of sand and gravel that runs off the lake," he said. The "enormous" site surrounded by wetlands had been occupied possibly thousands of years before Europeans settled the area. 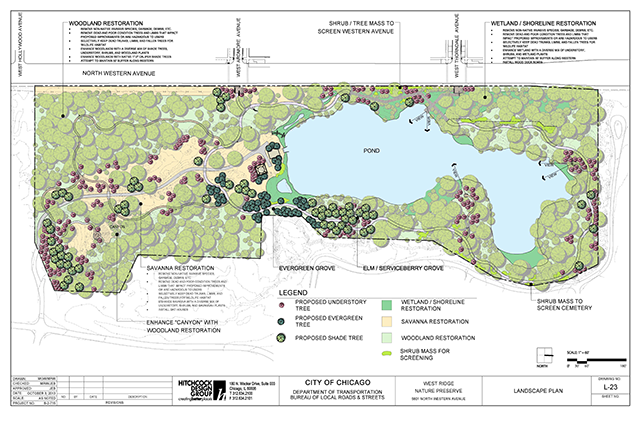 Although the findings would "not in any way" affect the development of the West Ridge Nature Preserve, the much-anticipated 20-acre park at Peterson and Western avenues, the Chicago Park District plans to take special precautions when building pathways over historically significant land, said Brad Koldehoff, chief archeologist with the Illinois Department of Transportation. "We've already looked at avoiding and minimizing the impacts," he said. Koldehoff said the survey was conducted and reviewed by the state to comply with the National Historic Preservation Act. The ancient "trash dumps" and "living sites" believed to occupy the area were old enough that they could not be tied directly to any modern Indian tribe, he said. There aren't many accounts of the prehistoric connection to Chicago — especially for the city's Bowmanville neighborhood, just south of the proposed park site — but for decades neighbors have known of the area's prehistoric legacy. "I was really fascinated to learn that our entire neighborhood had been a part of a native habitation," said 20-year Bowmanville resident Barry Kafka. "I’m frustrated that we don’t know more about it." Kafka said oral history in the neighborhood suggested that since the early 1900s, people had been digging up ancient artifacts in their back yards. 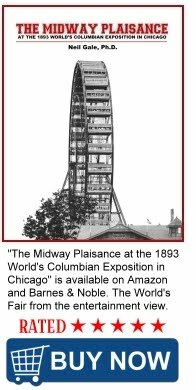 But, unfortunately, the history had never been properly recorded to help reconstruct the lives of humans who lived thousands of years ago in what is now modern Chicago. "Some of these artifacts ended up hundreds of miles away in a collectors' personal belongings," he said. Some of the area, too, had been part of the Budlong Pickle Farm in the early 1900s and was tilled. The portion of land formerly owned by Rosehill, however, had been set aside for future grave sites and left largely untouched since 1859. "Great quantities and varieties of Indian artifacts were found here, including utensils of copper," a report about Bowmanville read in the Chicago Daily Tribune newspaper on March 21, 1942. "The excavations uncovered an Indian grave in which 14 skeletons were arranged like spokes of a wheel, with feet together and heads forming a wide circle." Looking north on California Avenue from just north of the Foster Avenue intersection. 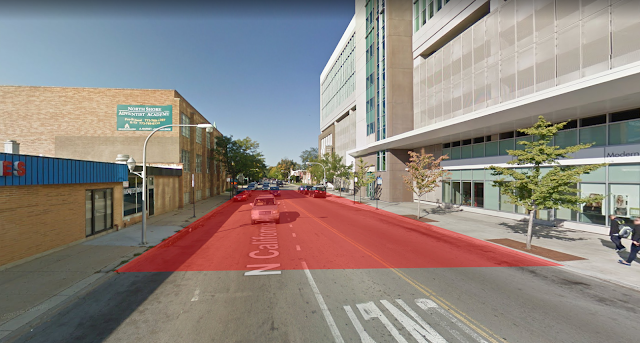 The burial spot would be about where the red highlighted section is. The Indians were probably Potawatomis and were of the Bowmanville Indian Village. The prehistoric grave site was located along California Avenue, 30 feet north of Foster Avenue. Another Tribune report, dated March 24, 1958, told of Bowmanville resident Phillip C. Schupp, a retired florist who had amassed a collection of rare area artifacts, such as stone ax-heads, flint spear tips, arrowheads, knives, pottery and trinkets. A museum curator was quoted as saying the trove was the "largest and most extensive collection existing anywhere of artifacts left by men who lived within the city limits of Chicago in prehistoric times." The collection was also referenced by researcher Albert Scharf, who compiled a history of Chicago-area tribes at the turn of the century. Today, the collection's whereabouts are unknown. "So much of our history has been lost through disruption," said George Strack, a historian for the Miami Tribe of Oklahoma, which in prehistoric times may have inhabited the Chicago area. He said the artifacts uncovered by the state survey could have been left by Miami people in the 1700s. "Chicago was a very cosmopolitan area in terms of tribes," he said. "It’s always been a place where it was the intersection of trade where people have come together for hundreds of years, maybe thousands of years." He's really hoping officials will "reach out and consult with tribes. There’s certainly family stories, individual stories. There’s not a lot of recognition of the native history of Chicago. I think that’s direly missing from the history of Chicago." Millhouse, the archeologist, said he and his colleagues were compiling a report on the Rosehill site. They have yet to release photographs of the discovered artifacts. At one time, the area had been visited by prominent researchers, he said, but since then most written records have been lost. "Then what happened," he said, "is it passed into myth." "The Society would urgently commend to the Legislature and the people of Illinois, the earliest provision for the recovery and safety of these sole traditions of a by-gone race, already fast disappearing under the plow, or becoming marred by idle or wanton bands. It would be a lasting reproach upon our intelligence and respect for the past, that these solemn mementoes, which time and the elements and human passions for ages have reverentially spared, should be permitted to disappear in an age of modern civilization, without one attempt to rescue them from premature obliteration and utter ruin. The conservation movement that is arousing the entire country finds our community seriously behind others in preserving the natural beauties within our own county that are suitable for healthful recreation. Other communities have already shown their aggressiveness by establishing systems of country reservations. In Cook County there are available more than 25,000 acres of woodlands which are recommended for a forest preserve, as set forth in detail in the Metropolitan Park Report of 1904. Included are the forests of Palos, Mount Forest and the Calumet region, the Skokie Marsh with its woods, the beautiful, wooded valleys of the Desplaines River, the Sag and Salt Creek, etc. These woods, ravines, valleys, waterways and open spaces deserve preservation intact because of their great natural beauty and accessibility." The Society's first Committee on Aboriginal History and Monuments was composed as follows: Messrs. J. V. Z. Blaney, W. B. Ogden, and J. H. Kinzie. "The conservation movement that is arousing the entire country finds our community seriously behind others in preserving the natural beauties within our own county that are suitable for healthful recreation. Other communities have already shown their aggressiveness by establishing systems of country reservations. In Cook County there are available more than 25,000 acres of woodlands which are recommended for a forest preserve, as set forth in detail in the Metropolitan Park Report of 1904. Included are the forests of Palos, Mount Forest and the Calumet region, the Skokie Marsh with its woods, the beautiful, wooded valleys of the Desplaines River, the Sag and Salt Creek, etc. These woods, ravines, valleys, waterways and open spaces deserve preservation intact because of their great natural beauty and accessibility." It will be remembered that the Kennicott Mounds on the Desplaines river were recommended for preservation after being visited by a Committee of this Society in 1862. The Society already owns three extensive collections of Indian relics, two from the Chicago region, and one from LaSalle County, besides numerous small groups from other localities in the state. These collections comprise stone and copper weapons, utensils and jewelry, pottery, bead-work, and bone ornaments. Among its mementoes of individual Indians, the wampum-belt, tobacco-pouch and paint, once the property of Chief Black Hawk, are perhaps of first importance, beside these there are the war-club of Chief Aptakisic [pronounced: Op-ta-gu-shick] Halfda or Hafda - was translated as "Half Day," the portrait of Shabbona, painted from life, a bead necklace worn by the granddaughter of the latter, and a letter from Billy "Sauganash" Caldwell testifying to the high character of Shabbona. The Society owns an extensive series of manuscript maps, executed by Mr. Scharf, showing in great detail every Indian trail, village and mound in this region. When funds shall be available to provide suitable cases and mountings for these interesting objects, now packed away in store-rooms, the Society will be able to offer to the rising generation of school children, and to older students, an exhibition both instructive and picturesque. In the opinion of the present writer, there is no branch of the Society's work which will insure to this organization a more worthy and permanent hold upon the attention of the public than that of archaeology. This point does not require argument, for who will ever become indifferent to the subject that has experienced the peculiar thrill that comes when one holds a beautiful flint arrow-point or spear-head in the hand, or when in the woods he comes upon a blazed tree. The resolutions prepared by Mr. Kerfoot at the request of the Executive Committee were adopted May 22, 1910. Primer about the difference between a Chicago community and a Chicago neighborhood. Interesting article. My doctors office is in the building to the right in that photo of the street. it's occurred to me that no matter where we walk, we're trespassing through or over someones grave. I'm especially aware of this while walking the paths along the Des Plaines River. Even where I live, about a mile West of the river I've wondered if my house sits atop an ancient cemetery or burial ground. can these sites be found on a larger map of chicago area indian trails that was in and earlier article? Fascinating. Never knew what the roads near me, Aptakisic and Half-Day, were named after.